It has been SIX YEARS this Labor Day since I moved to Dallas from Tennessee. I haven't been immersed in my beloved college town for six whole years, but that doesn't mean that my fandom is any less. 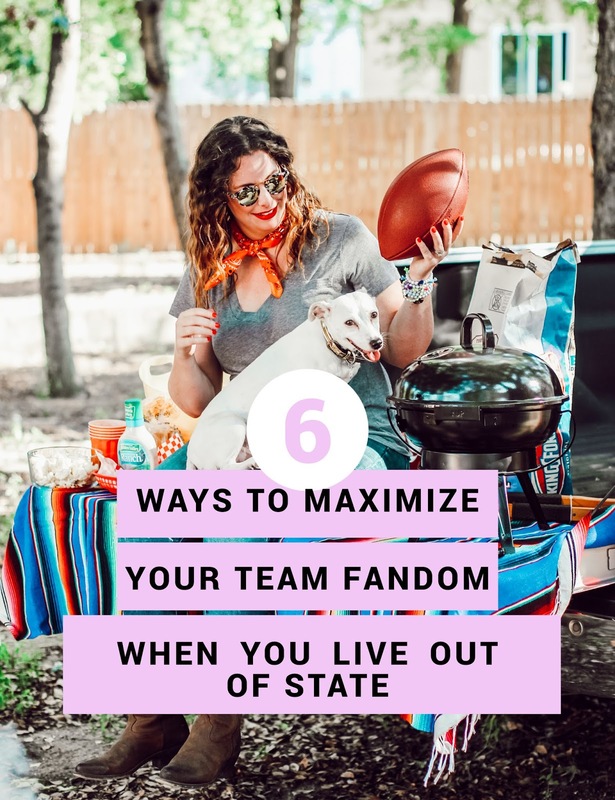 On the contrary, absence does certainly make the heart grow fonder but, I've learned a few tips and tricks along the way to bring my college team's spirit right here to Dallas. 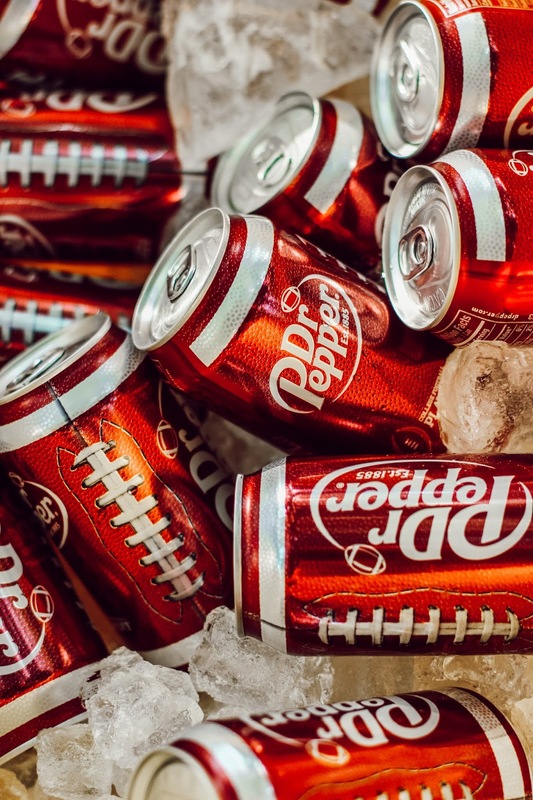 I'm teaming up with my friends at Dr Pepper and Walmart today to bring you some tips on how I maximize my team's fandom living out of state. Rule One || Make a playlist to kickstart your Gameday. This should feature songs that make you feel like you're in college all over again. Songs that bring you back to your roots. A lot of times you can even track down mp3's of your team's actual marching band performing live. 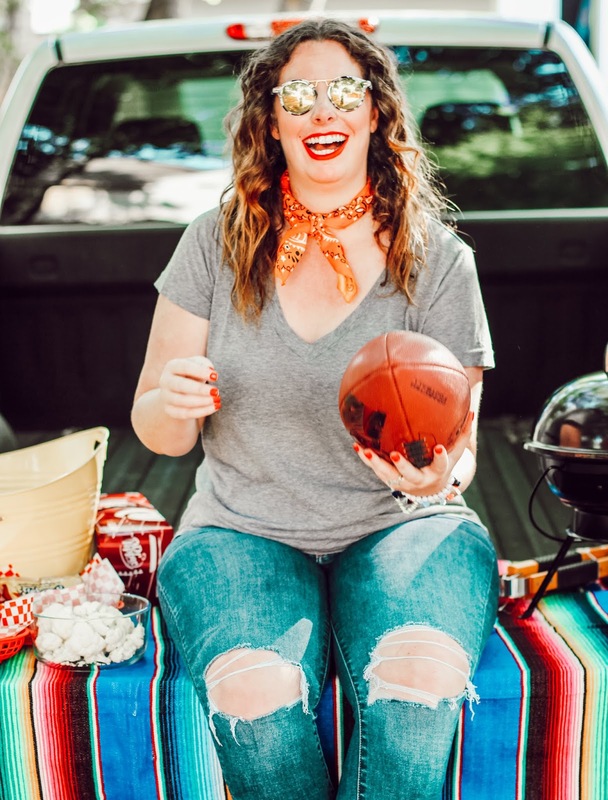 I like to include my team's fight song, some songs about the state of Tennessee and some of the classics I remember belting at the top of my lungs while we played corn hole in the hours leading up to kickoff. Anything that takes me back, I add it to the list and play it first thing in the morning while I watch sports coverage of the day's games. Who wants to watch the games solo? Or even worse, who wants to watch your games at a restaurant with potentially the enemy team's fans. I sure as heck don't. Instead, I joined our team's alum club here in Dallas. We all meet as a group to watch the games. All of the tables have pom poms, they do giveaways for apparel during halftime and the proceeds go to the alum club organization. I can scream at any decibel level I desire and not get judged because you're a screaming nutcase. This rule is crucial, or else you might need to consider finding new friends. If your friends don't like your team, convert them. It's like the opposite of if you can't beat em, join em! Since my team isn't in-state, it was an easy sell. We aren't rivals, so they are now able to root for their team - AND - for my team! Win win! Everyone comes over to our house to watch my team's games, and we also watch theirs. It's a win win. What do you do in the morning when you're getting ready for work? Listen to music? Nothing? Zone out to infomercials? Or God forbid.... watch the news (gasp!). Start getting ready while sports news is on your television. You don't have to actually watch sports news twelve times in a row, like a dude, to get something out of it. Listen, do your makeup, glance up occasionally when they're doing the top 10 plays of the day.... voila, you'll start the day armed with all of the sports knowledge you really need to be the best fan possible. Being out of state, you miss out on the pulse of your school's town. 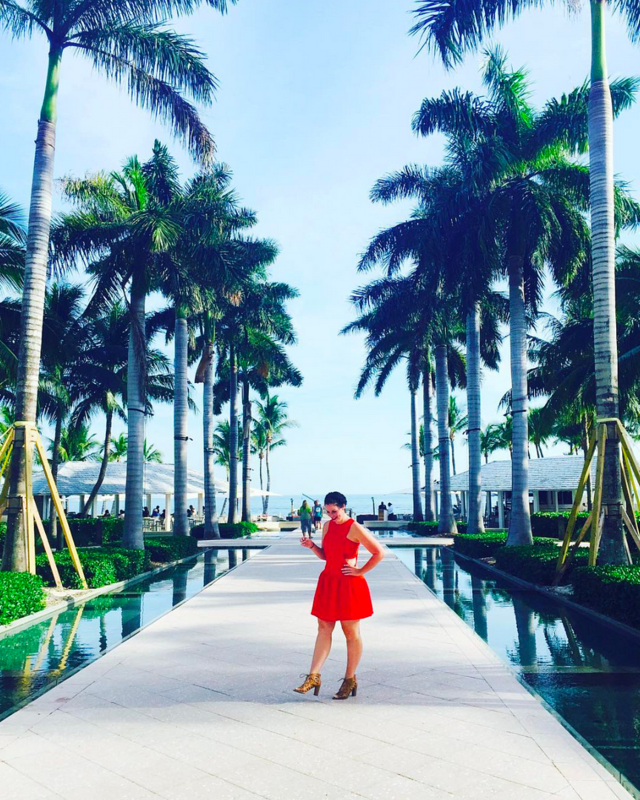 Following them on social allows a BTS glimpse of how it feels to be right in the thick of things. Also, go a little deeper and find some beat reporters (basically reporters who ONLY write about your team) to follow on social. Watch their Instagram stories before you get up and get your day started, it'll get you hyped for game day. If all else fails, throw your own dang party! It's your party and you can scream at whatever defensive back that you want to. 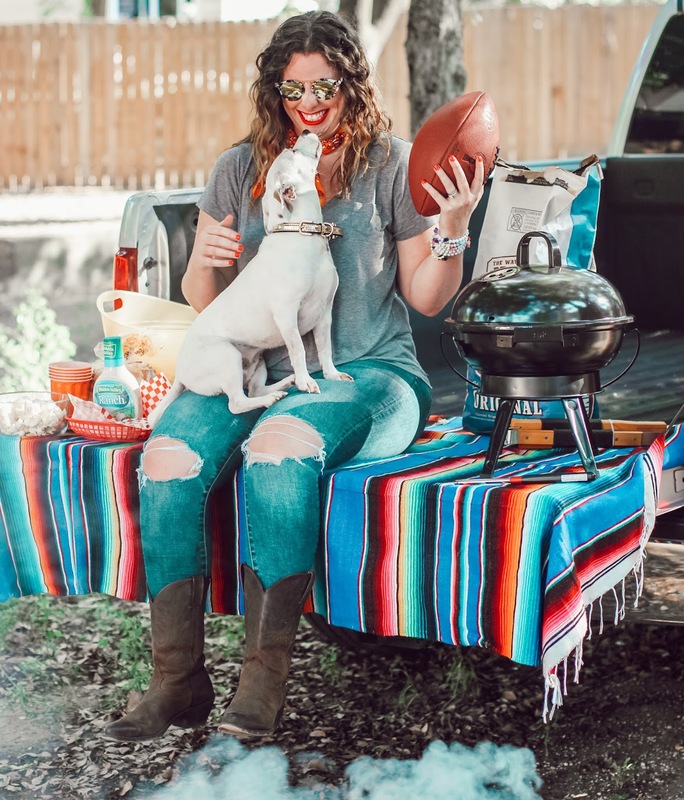 When you throw a tailgate in your own backyard it's way more comfortable anyway, and you can BYOD (bring your own dog - both of the hot and K9 variety). 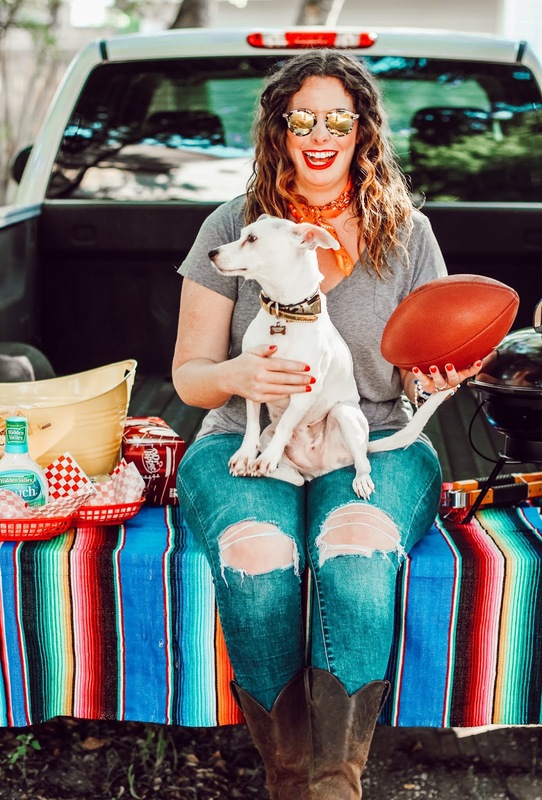 Veenie and I are prepping for our big season kick off party where all of our friends are coming over to celebrate. We have about 6 couple friends who all bring their dogs and we have a howling good time. Puns all intended. 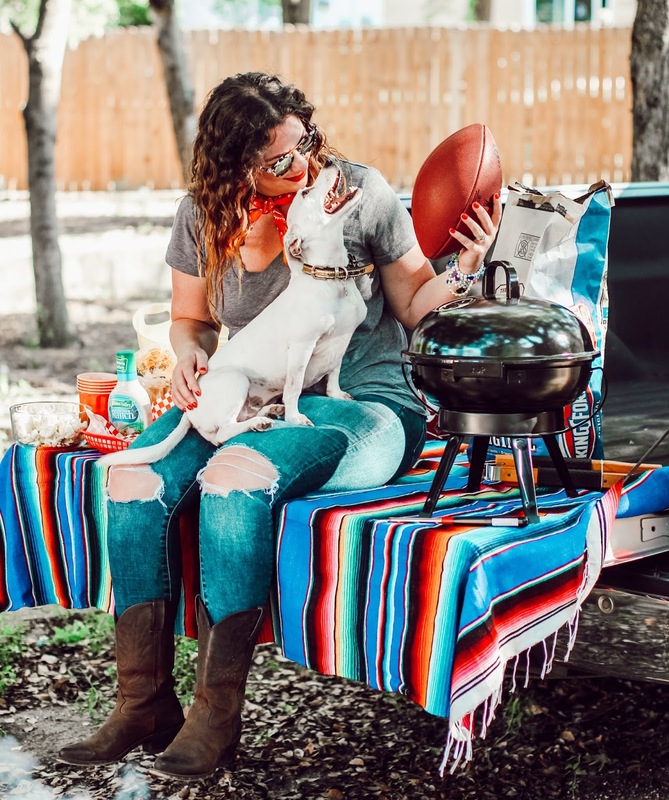 I like to pop over to Walmart for all of my tailgate needs, especially if there is any kind of grilling involved. 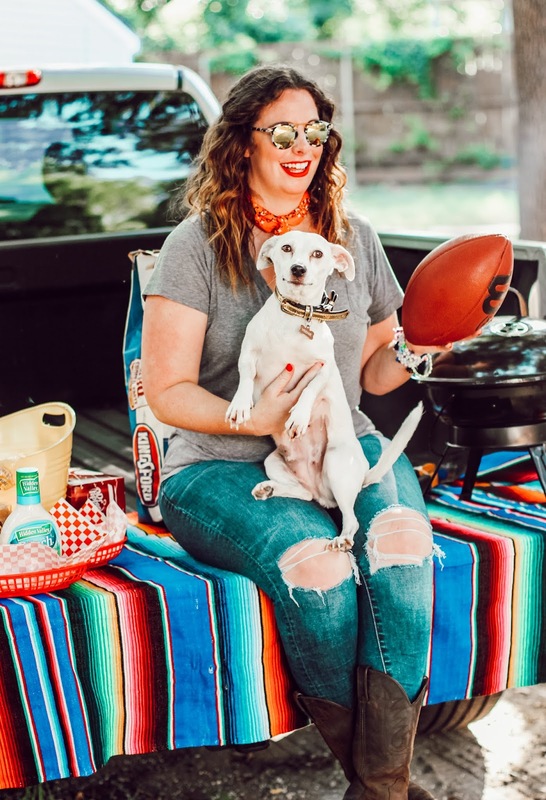 The season kickoff tailgate is always my favorite because I'm not yet annoyed or depressed by my team. 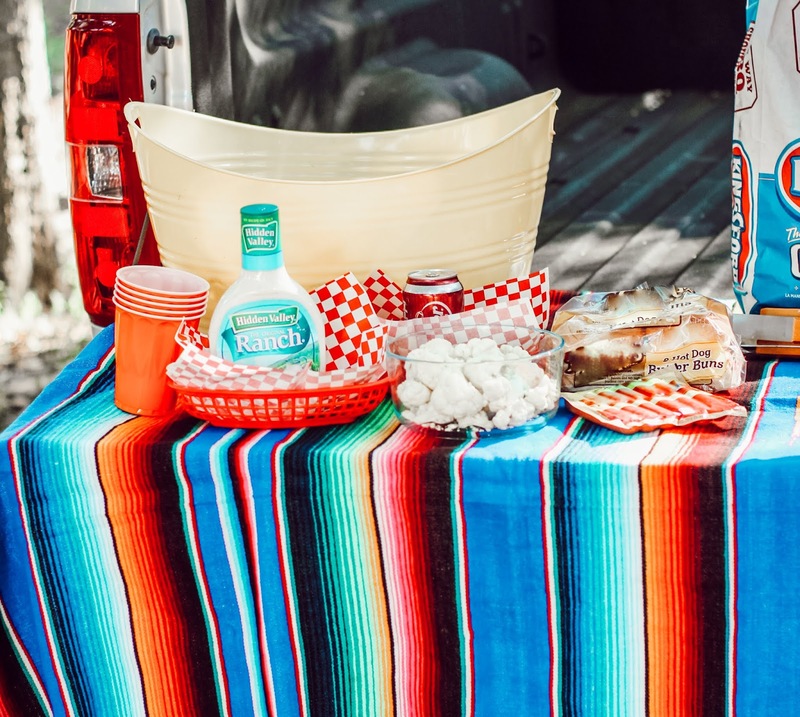 The season kickoff tailgate is good food, good times and SMILES all around with all of our friends hanging out, playing lawn games and cheering on our teams. Talk to me about smiles come November, we'll see if I'm still grinning from ear to ear - LOLS! 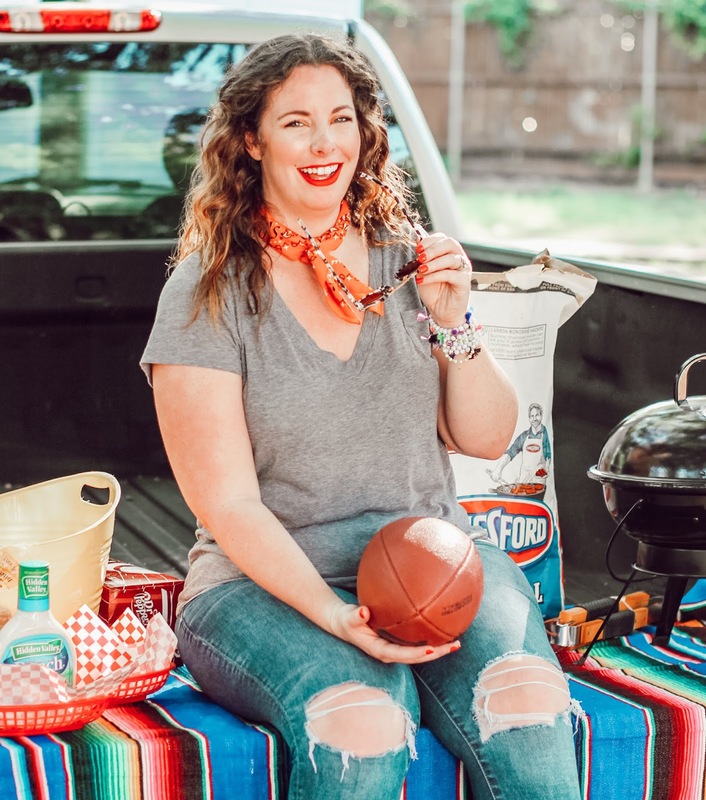 For this tailgate I got the essentials: Dr Pepper® - the official drink of college football fans, Kingsford® Original Charcoal which is super easy to light and always maintains consistent flavor, and Hidden Valley® Ranch Dressing, which is perfect for salads, veggies (I picked up cauliflower) and even meats! 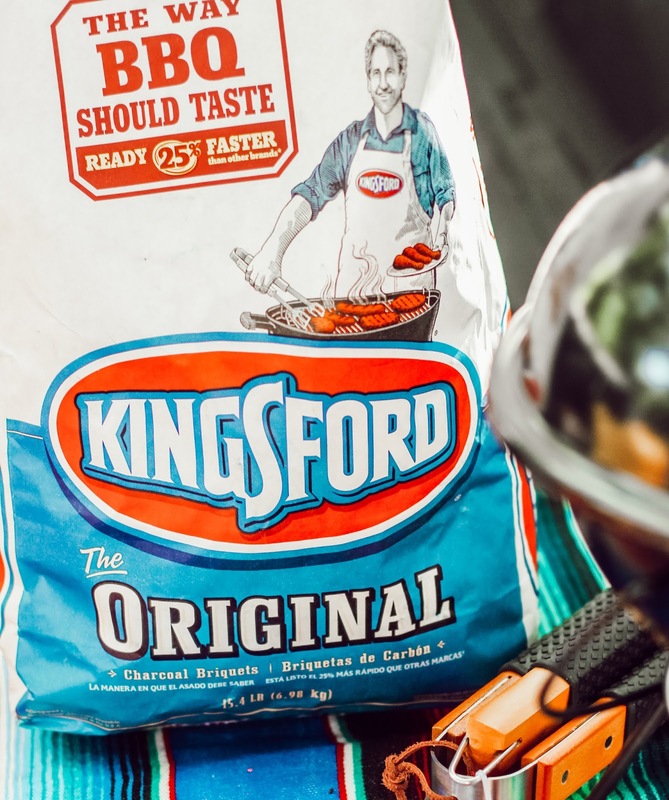 You of course NEVER EVER want to be grilling while the game is on, but a little pre-kickoff hot dog and Dr Pepper never hurt anyone! This is why I love shopping at Walmart, I only had to make one stop and I got everything I need for our party and friends that come over in a matter of 10 minutes. Less time shopping, more time to put my game face on! Once kickoff hits though, all bets are off. I'm inside, on the couch with LASER FOCUS. No calls pls. Unless Veenie is calling, I always answer for Veenie kisses. 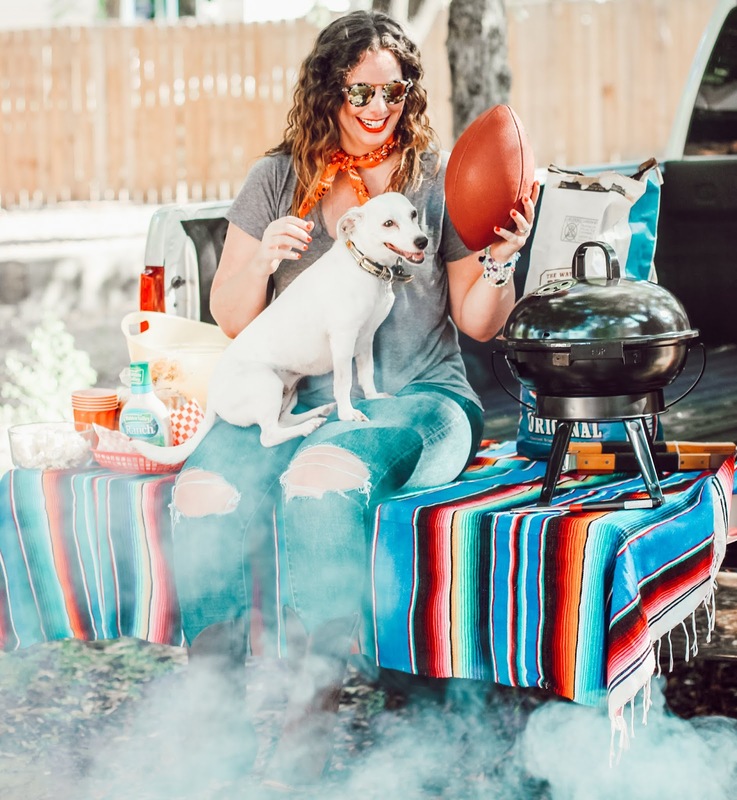 Can you smell the sweet scent of football season from these pictures? 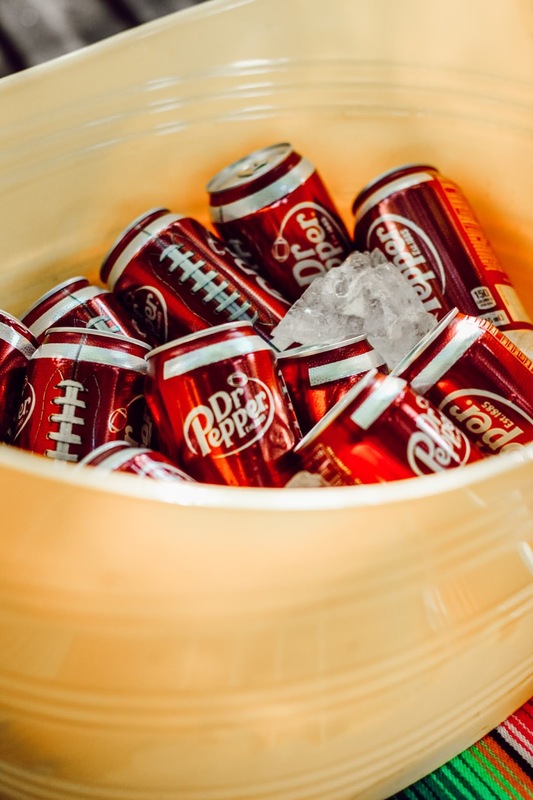 Burgers, dogs, the sound of the Dr Pepper can popping open and all of our friends screaming while watching the game in our living room. We had the most fun take a big whiff y'all, football ! 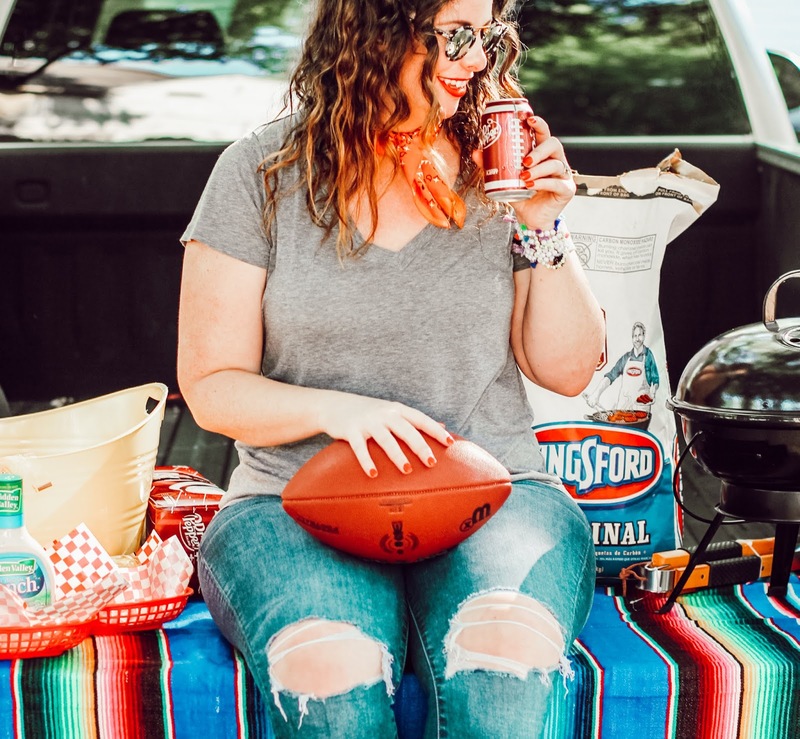 Happy football season, friends. May your wins be prevalent .......... unless you're playing my team that is. 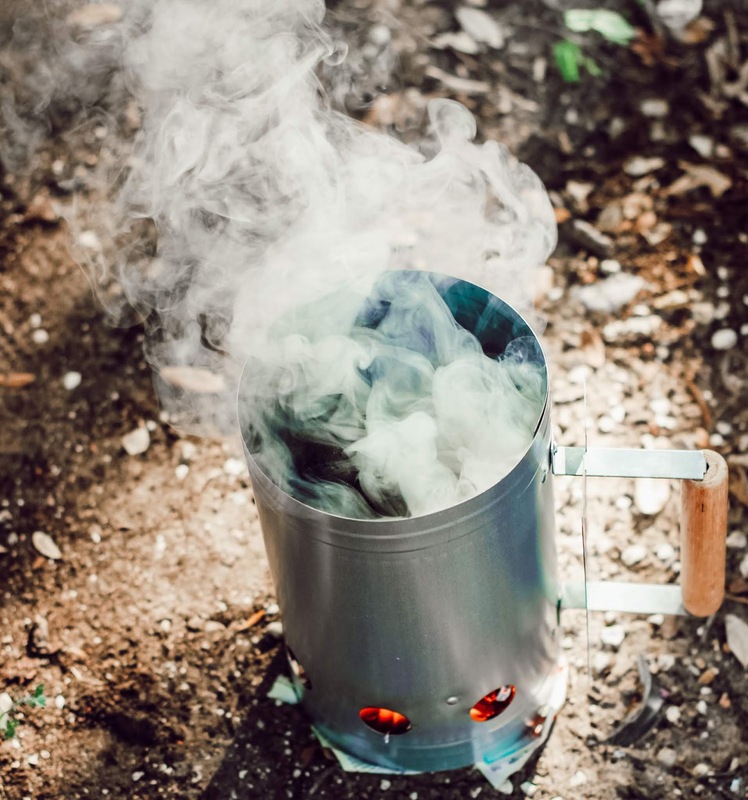 Are you ready to fire up your gameday??? 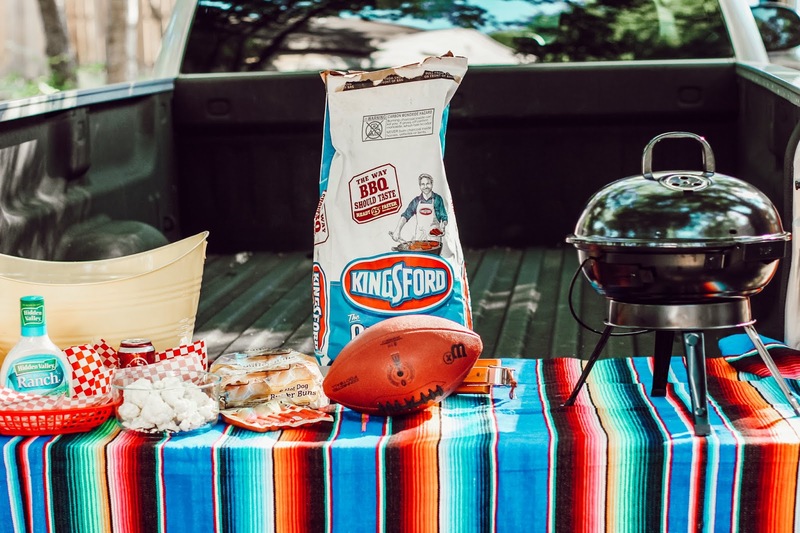 Find new recipe ideas and get inspired and FIRED UP for gameday by clicking HERE!